This deal will increase the prior announcement of 360 robotic floor cleaners powered by BrainOS operating in Walmart stores to a fleet totaling 1,860 machines. Brain Corp’s commercial operating system, BrainOS, supports Walmart’s Auto-C autonomous cleaning initiative through the enablement of robotic floor cleaners. 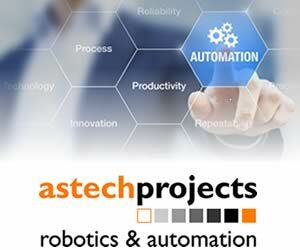 Robots powered by BrainOS operate collaboratively alongside Walmart associates by utilizing a simple and intuitive “teach and repeat” approach which allows associates to easily deploy the machine and adjust cleaning routes as the environment changes. John Crecelius, Walmart’s senior VP of central operations, says: “Technologies like this prove to be a valuable tool in the support of our retail associates. 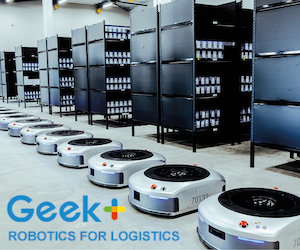 The expansion of this relationship with Walmart supports the growth of BrainOS as the industry standard for the production, deployment, and management of autonomous mobile robots. Ranked as the world’s top autonomy solution provider by ABI Research, Brain Corp has several key partnerships with original equipment manufacturers in the floor care industry and recently debuted a new, proof-of-concept delivery robot. Dr Eugene Izhikevich, CEO of Brain Corp, says: “We look forward to continuing our work by extending the footprint of BrainOS across Walmart store locations and applications.